This dainty wave pendant is the second custom piece that Michelle from Lilacs in the Sun made for me! The beach is a very therapeautic place for many of us, and keeping our beaches clean and preserving marine biodiversity are both things I care deeply about, which is why I wanted a pendant to remind me of the ocean! All Lilacs in the Sun jewelry is handmade by the designer, Michelle, in California. 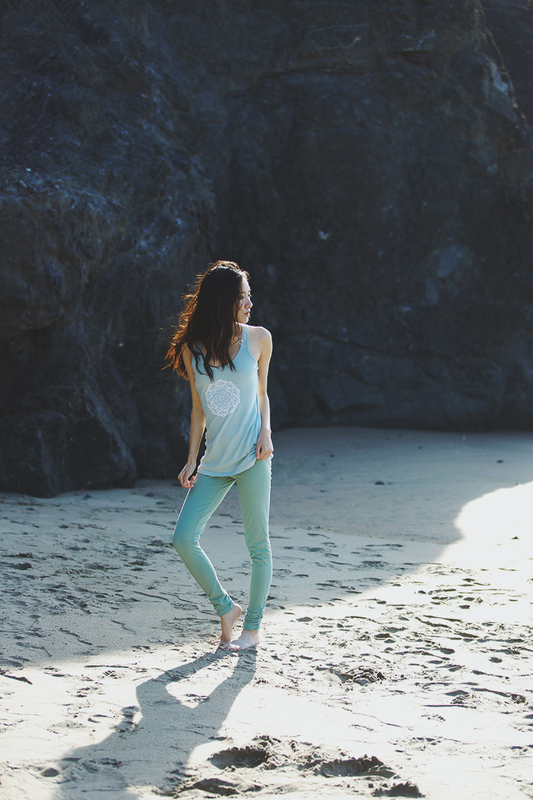 Both the tank and leggings are from Santa Cruz based company, Synergy Clothing. 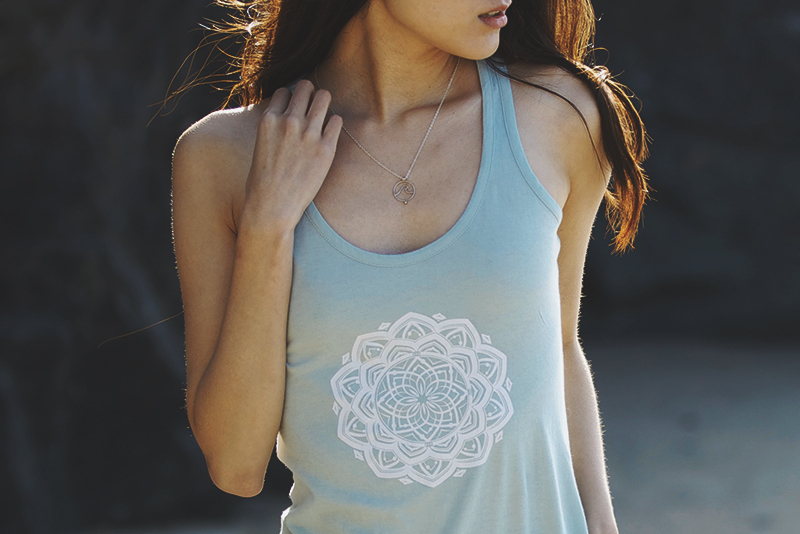 They make organic cotton and fair trade clothing that is not only ethically made but is dyed with low-impact dyes! Loving that shade on you. That loungewear is really cute and looks comfortable. Maybe it's about time that I read that book by Marie Kondo, I have neat closet but filled with clothes that does not fit me anymore. Maybe its time to let go of some things to make room for new ones. Something like buy college papers online do to their old papers and articles.